Wool is nature’s very own functional fabric, and so far, nobody has been able to reproduce a synthetic fibre with the unique properties of wool. Nature had actually solved the problem of freezing and sweating long before any of us started researching it. Merino sheep live in parts of the planet with challenging climate reaching from very warm to extremely cold weather. Their special wool keeps the merino sheep cool in warm conditions and warm when it's freezing cold. The crinkly nature of the wool fibres binds large amounts of air and provides good insulation. The air between the fibres reduces heat transmission in the fabric and thereby has an insulating effect, both against heat and cold. Merino wool contains up to 40 crinkles per centimetre giving it a high degree of insulation and also limiting the number of contact points between the fabric and the body. The result is an insulation that remains unreached by any synthetic material. The keratin in wool naturally breaks down the bad-smelling bacteria from the skin. At the core of wool’s fibres are two types of cells that absorb different amounts of moisture. One type swells more than the other causing a constant motion friction between the two. This characteristic creates a mechanical self-cleaning effect. The result is that your merino wool garments will start to smell only when every other fabric would already smell horribly and it will magically lose its smell without washing it. While you would need a few pieces of spare clothing on a tour you can manage with only one or two pieces of merino wool clothing. This saves weight, bulk, time for (not) washing your clothes, and money. The surface of wool’s fibres is water repellent, which prevents bacteria growth and thereby bad odours. Woolen clothes don’t need to be washed often, and instead do well being aired in damp weather. The surface of wool’s fibres is covered with small scales, which means that woolen clothes can become bobbled when washed. The scales can be removed with treatment so the wool is machine washable. Woolpower’s clothes can be washed at 60 degrees without shrinking. Find out more under Washing tips. Wool fibre has a hydrophobic (water repelling) exterior and hydrophilic (water loving) interior that confer its unique moisture management properties, leaving the wool next to your skin feeling dry even if it’s moist. Wool fibres can absorb up to 30 per cent of its own weight in moisture without feeling damp. At the same time the wool still keeps you warm. Merino wool does not burn very easily. Compared to synthetic fibers or even cotton wool is very flame-resistant, which makes it perfect for the outdoors. Hang around the campfire without worrying about spark holes in your clothing. Merino wool is a natural material and a renewable resource. We at Adventurestore, as well as our colleagues from Woolpower, believe that sustainability is a very important aspect in outdoor products. To make a merino wool garment last longer, Woolpower blends a small percentage of synthetic fibers into the wool. This makes the finished blend much stronger than 100% merino wool and the result is a garment that is stronger als lasts much longer. Once you got a Woolpower garment you can keep it for decades without having to replace it. Following the same mindset of the smallest possible impact on the environment, Woolpower garments are ISO 9001:2008, ISO 14001:2004 and Oeko-Tex certified. While production in low-wage countries keeps the cost for the finished product lower, it comes with a certain impact on the environment, partly due to transportation cost. All Woolpower products are manufactured in Sweden, from the yarn to the finished product. Everything happens in one building, under the same roof, in Östersund, Jämtland, northern Sweden. Woolpower is so proud of their products that every single piece of clothing is entirely sewn by the same seemstress and gets a tag with the name of the person that made your piece of clothing. 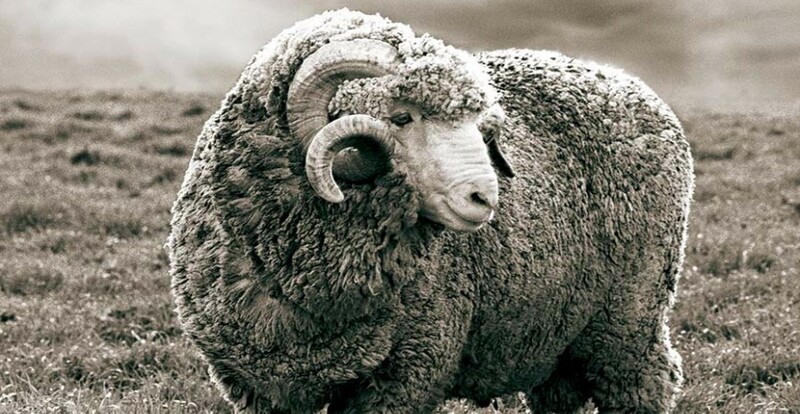 There are many brands that produce merino wool garments. When we decided to take merino wool clothing into our store we did not have to think for a single second about what brand to pick, because we already knew about the quality and pihilosophy of Woolpower products from our own personal experience. Woolpower is a Swedish brand that produces highest quality merino wool products in Sweden. Not only does Woolpower produce finest merino wool garments, but we also share a set of important values such as sustainability and animal ethics. Having already told you about the first, we will give you a small insight into the letter. Along the ideal of sustainability, we at Adventurestore and our colleagues from Woolpower care about animal ethics. We believe that is is imortant to respect the animals that give us a fantastic raw material that allows us to produce great clothing. For this reason we would never knowingly sell a product that is based on unnecessary animal cruelty, which is why we chose Woolpower as our partner for merino wool garments.
" We are very careful about the origins of our merino wool and want complete confidence that the sheep that produce it are treated well. In Australia, there is a complex problem with mulesing, a process carried out on sheep to prevent fly infestation. That’s why we decided to not source wool from that country. Since Australia’s wool farmers can’t guarantee 100% mulesing free merino wool we decided to redirect our sourcing to the Argentinian part of Patagonia and Uruguay, where the fly in question doesn’t exist. We haven’t sourced wool from Australia since 2008 and can therefore guarantee ethical animal treatment. Thanks to the fact that we have our manufacturing here in Sweden we were able to react quickly to the issue. " Merino wool is the perfect material for outdoor garments. It is extremely insulating and comfortbale, even when wet. It takes odors less faster than other materials, and loses them quicker. It does not need to be washed as often as other fabrics. It lasts for many years, and it is a natural material and a renewable resource. It does not pollute the environment and doesn't need any toxic substances to work. We are confident to say that everybody who gets a high quality merino wool garment from Woolpower will not only love it, but will very soon get more, different, pieces and will start to wear them not only for the outdoors but also for all kinds of everyday situations. Once you got one, you will never want to miss it again! Take a look at our Woolpower selection.